We are excited to announce that downloadable backups are now available! 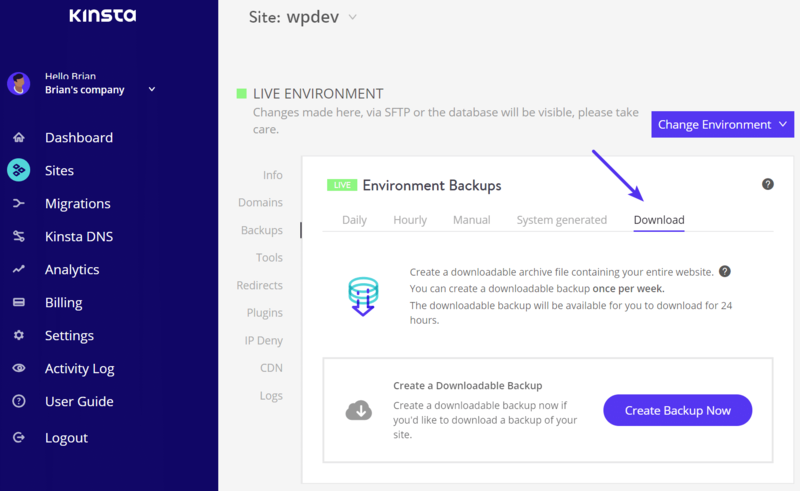 Previously to download a backup you had to reach out to our support team, do it manually, or use a third-party plugin. While we love chatting with you, speeding up your workflow is our top priority. We know many of you will be utilizing this new feature. You can now with one click create a downloadable archive file (.zip) containing your entire WordPress site. The archive file contains your website’s files as well as the SQL file containing the contents of your database. As always, keep the feedback coming! Check out our knowledge base article for more information on how downloadable backups work.